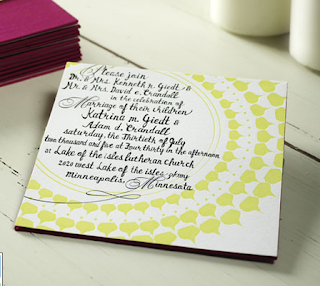 i am constantly devouring the websites of my fellow invitation designers. i look for new ideas and comb for inspiration. plus it is nice to know what is out there. i am still new in this game and i can't lag behind creativity wise! anyway i happened upon Mr. Boddingtons's Studio, and i am inspired. 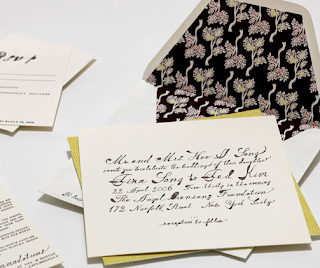 i love the use of handwritten text which is then letterpressed and made into a piece of art. 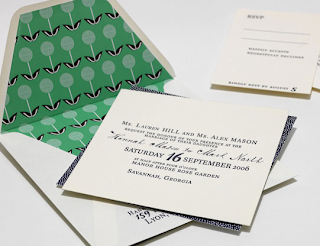 i would seriously hang all of these invitations on my wall. and the envelope liners, oh my.